As spring arrives in the city of Ottawa in Ontario, Canada, the gardens surrounding the Parliament Buildings come to life as the blossoming tulips display their beauty in various colors. 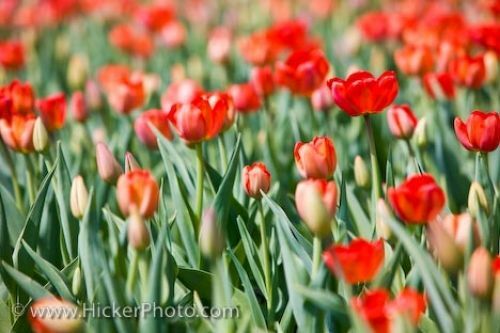 This garden is filled with red tulips, some still in bud form while others have opened fully to reveal the unique center of the flowers. Picture of the gardens on the grounds of the Parliament Buildings in the City of Ottawa, Ontario, blossoming in red tulips. Visitors to the City of Ottawa in Ontario, Canada are welcome to stroll the gardens surrounding the Parliament Buildings and enjoy the scents and colors displayed across the grounds.